Project-GC is a website aiming to provide dynamic statistics for all geocachers in the world. Besides statistics there are several map tools which might be helpful. 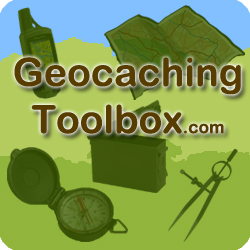 The goal is to make the best third-party geocaching site available. Geocaching Toolbox. All the geocaching tools a geocacher needs in one box! Coordinate notation changes, conversions to different coordinate systems, distance calculations, midpoint and intersection calculations can be found here. All results will be shown on the map as a reference, you can either save them as .gpx or send them directly to your GPS device. With Geocaching Live support it is also possible to import coordinates of geocaches and waypoints from Geocaching.com directly into the different tools and update your personal cache note with the result. And there is more: word value, caesar cipher, vigenère cipher, morse code and lots more! The Geocaching Association of Great Britain (GAGB). The Association was established in 2003 to provide a national geocaching organisation and serve as a point of contact for geocachers, landowners, the media and others with an interest in geocaching. They maintain a database containing details of landowner consents and/or restrictions on the placement of caches, in respect of many parts of the UK and the Isle of Man; provide a GAGB members’ forum; maintain codes of conduct and geocaching guidance; liaise with landowners as necessary; offer help and support to geocachers generally and provide a national organisation for enquiries about geocaching from the public, the media and others.